The second largest of the five islands in the Bazaruto Archipelago, Benguerra Island is one of the best places to go on holiday in Mozambique. 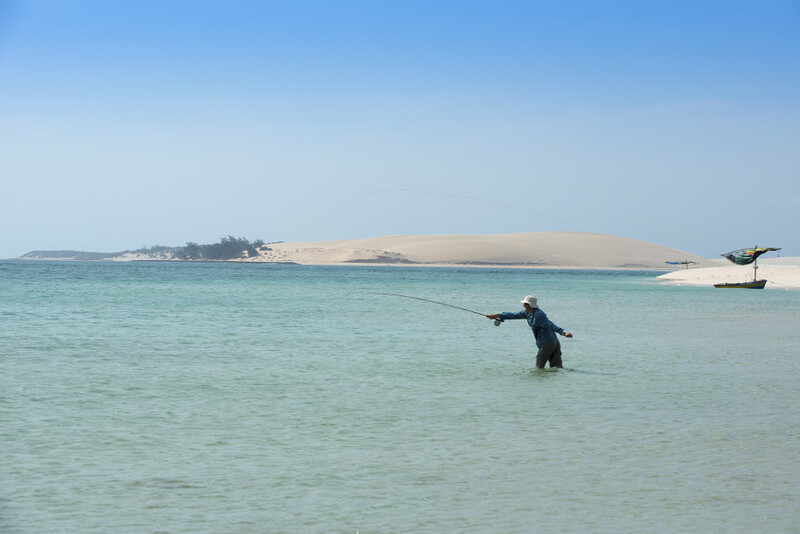 The island features a breathtaking landscape of towering sand dunes, sublime beaches and an inland lake. Although the island is inhabited, holidaymakers are guaranteed a peaceful holiday experience, and with only two beach resorts available, you can expect none of the crowds you would otherwise find in popular destinations like Zanzibar and Mauritius. You can enjoy fantastic sporting at Benguerra Island, as the waters surrounding the atoll remain warm all year round. Fishermen will be chuffed by the myriad of big game fish that are found in the water, including marlin, bonefish, and sailfish, to name a few. Below the water is a world waiting to be explored and if diving or snorkelling is your thing, then the pristine coral reefs and eclectic marine life will leave you spellbound. Base yourself on Benguerra Island to witness the rare dugong, whose population here is the largest in East Africa as well as a respectable population of the endangered whale shark. A holiday on Benguerra Island offers plenty of opportunities for relaxation and fun. How you choose to spend your holiday is entirely up to you. With so many fantastic sporting at Benguerra Island, spending time in your room or simply sprawling on the beach can easily be considered a sin! You can try your hand at kite surfing or sail out to sea on an ocean safari to observe dolphins, turtles and whales. While you might want to spend all your time out at sea, the island has quite a sizeable amount of exciting things to do. You can embark on guided island tours, visiting the local villages and the inland freshwater lakes where crocodiles, fish and migratory birds live. Horse riding and dune boarding are also available. Book your holiday to Benguerra Island from the Mozambique Travel company for unbeatable rates on your holiday accommodation. Our team of friendly consultants is passionate about travel and are more than happy to help tailor your unique itinerary according to your specific requirements. Contact us today!